A lot of people that know they have a move on the horizon don’t see usually see the value in having a moving budget. What’s so hard about it? You just pay the movers and you’re done, right? Wrong. The costs of a move can add up quickly, and if you’re not fully prepared in advance, you could wind up struggling to foot the bills. With a budget, you can know exactly what the move will cost you and how that will affect your move as a whole. The second type of expenses that you will need to calculate into your move budget is any cost related to the travel to your new home. If you are traveling long distance, you will need to take into account the costs associated with moving your automobile, any lodging or flight costs, meals, temporary housing, and even pet care. Next, it is a good idea to include any packing and storage fees in the move budget. First, you can start with making a list of all the packing supplies that you will need, including boxes of all sizes, bubble wrap and packing paper, tape, labels, markers, plastic wrap, and padding. Second, you will need to think about if you will need to store anything while you move to your new home. If so, you will need to calculate the storage fees, as well as any transportation fees associated with getting your items from your current home to the storage facility. Finally, you will probably need to look at all the costs that will be associated with either selling your current home, or moving from your rental. If you’re selling your current home, the move budget should include any fees related to realtor commissions, attorney and title fees, advertising, and inspections or appraisals. If you’re leaving a rental unit, you will likely incur charges related to the cleaning of the unit, as well as any repairs that you may need to complete before you move. Very good movers! On time, Very careful with furniture, Highly recommended! They did best job for my moving. 5 STARS! The movers were fantastic. Very hard workers and very efficient. Will highly recommend to all my friends. Great job, friendly, courteous, hard work. This guys did a great job, very quick, careful and efficient! They were amazing! Punctual, respectful, careful and fast! I would definitely recommend all 3 in the future! Everything was professional and fast. Thanks for making the move smooth. Great service - very fast and careful with my items. Getting them booked was fast and easy. Will use them on my next move. Very polite, fast, efficient, clean, would recommend! Great job! Very polite, professional, nothing damaged, I will call you guys next time!!! Great work today, we really appreciated the much needed help. A job well done. Worked hard. Clean and efficient, very friendly. The move was excellent! We would definitely use them again. Thank you for all of your help! Amazing! Vlad and Omar were super professional, courteous, clean, prompt! I would highly recommend using them! You were amazing! They were on time and they worked non stop! I would recommend to anybody to use them. The movers arrived 10 minutes early and started working right away. Very efficient and hard working. Very careful with the furniture and took care of everything. All in all, very happy with their service. Vlad and Miguel made my move less stressful. They were helpful and very kind! Outstanding! Non-stop hard workers! Thank you so much for all your proffessional work! Igor and Alex, did a fantastic job with my move. I’m very happy with the move. Very pleased, with full moving. Very professional , thank you! Ilya, Omar and Alex are 3 great movers. You guys were totally professional, friendly, efficient and worked very hard to get my move done in as quick and cost efficient as possible. Thank you for handling the extra large and heavy items. Excellent job! Very professional and guide. We were very happy with the service today and will definitely recommend you everybody! Excellent service - polite workers - very happy clients, we will be booking again in a year! Great move! Our guys were punctual, professional, speedy and polite. I would not hesitate to use them again. No damage! Well done, good service. Fast workers! I liked them. Thank you for the wonderful service! Very fast efficient + right on time. Very professional + nice guys! Igor and Vlad did an amazing job! Very cautious and curtious! many many thanks!! You made my day so much better! Excellent service, really great and professional guys. Excellent service, arrived early, friendly fast and affordable. Courteous and prompt. A very easy company to deal with during a hectic time. Truck is empty, no damage to any of the items. The movers did a fantastic job! Very efficient and took great care of the furniture. I would recommend them to anyone who needs a move! Best movers to deal. Very professional + courteous. Highly recommend Alexs team for a high quality move! Well done guys, we will call you again when we will need it. This is my 3rd time using these company, I keep coming back because of their friendly and fast service. They treat my furniture like their own. I would definitely recommend them. THANK YOU! Highly impressed with the work done. Highly recommend to all. They have gone above and all to help and move the goods which was not initially discussed. Very polite and careful, amazing job done. All the best for the future. - Guys were awesome! polite, professional , fast . No damage, done - empty truck. Would highly recommend! This is 3rd time I have used these company, they are really professional guys, on time and very careful with the stuff. Highly recommend them! Igor, Edward and Vlad move my house hold items on June 27, 2018 and did an excellent job. They were very punctual, respectful and friendly I would recommend them very highly. They were very careful with all of our belongings. Thanks! Omar , Ilia and Alex were very efficient in packing , loading and unloading my furniture and were very careful as well . Great job ! Very good movers . Professional and efficient . They were super! Quick and easy move. Happy to help in any way. No complaints Would definitely recommend. You guys are great. Very nice & respectful. You come on time & very patient. Thank you!! These movers were great, friendly helpful fast efficient! These guys were great, they are punctual, professionally done their work! They done very good job friendly staff very nice hard working guys they took care of my furniture and did the job very quick! Thank you so much guys! Igor + Vlad did an amazing job, they were fast + hardworking + careful, and they move our furniture around for us! Excellent service! Arrived on time, very polite and hardworking gentlemen. I will recommend them to anyone! Fantastic! The guys were great, Thanks again! Great job, fast and friendly! Were easy move, no damage, absolutely no issues, we are happy ! Igor & team were excellent! Hard working, polite and pleasant. Would recommend to anyone. Thank you! Everything is good, the job was done perfectly. Best guys ever! I would use these guys again, but I don’t plan on moving any time soon. The hardest working movers I've ever seen! Great job! Great service, very efficient, polite would recommend. Thank you! Amazing! Very efficient! Would definitely use again! Mike and Vitaly were fantastic! It was a pleasure to have the crew move our home. It was a pleasure working with the movers. They arrived on time and were very pleasant. They worked hard and were always willing to help. It was a happy experience. Very thankful about the work that your people have done! I would definitely recommend them to everyone! They arrived on time, they were very careful with my furniture. I am very happy. The movers did an amazing job! Really cared about the move and taking care of furnitures, home. I would recommend them to everyone. Amir + Edward worked fast + wrapped everything to protect the furniture. THANK YOU for good service. Excellent and kindly service all the way on the moving process. Will recommend services to move people, THANKS! Wonderful job done! Thank you very much. These guys were the best I have ever seen, very polite, I did not have to tell them what to do. They were very careful + put back everything the same way the took it apart! I will recommend their service to every one!!! Fantastic movers! No damages, very professional, I would highly recommend them to anyone in this area . Carefree Moving exceeded my expectations. The team was friendly, fast and treated my possessions respectfully. I would definitely recommend them. Both Igor and Amir were supper efficient and quick. They were very professionals guys, the guys who knew what they were doing, would highly recommend them any time, Thanks! Igor and his crew were great, speedy + organized, it was like watch live action tetris. Both guys were professionals , they were very careful with our items + belongings . Very much appreciating + I will be sure to recommend your service ! Many thanks ! Great work! Nice guys. Very friendly! No complaints! Igor and Vlad did a great job. They were very fast and made moving easy. Thank you both! Quick & on time! Tanks for making my day easy! Very pleased with the excellent service ! Thank you ! I would like to thank Michel and Andrew for their hard & professional work. I will recommend you guys to everyone, Thank you so much! I really appreciate the professionalism and hard work of Igor and Edward. Thank you so much! Very efficient + professional work. Extremely pleasure with their work. Great job. Thanks to Carefree + the movers! Great service and very efficient, put everything perfectly in place, Would highly recommend. Thank you for the quick and excellent work. They are careful, no damage, very respectful. I had the pleasure of having two great movers today, very efficient and very professional. I am very happy with their work. I will recommend to my family and friends. Service was excellent! Movers came on time, were supper efficient, polite and friendly. Would highly recommend to others! Truck empty + Deliver with no damage + good conditions . Thanks alot , job well done . GOD BLESS ! ! ! The guys were great hard working very professional , punctual and clean , careful with furniture and home . Igor and Amir were amazing! Arrived on time worked very hard. I have no complains. Thank you! Fantastic! They were fast efficient careful and awesome to work with. Would highly recommend! Amir , Vladimir , Igor did a great job moving our house . Very polite and friendly - helped with everything we ask to help , and we will recomending them highly !!! Thank you guys for everything! Great job ! Super fast no issues at all ! Would totally recommend to friends+family . Thanks. Great work ! Very good ! Super happy. They did a great job moving our entire household . We would use them again and would highly recommend ! Truck empty. No damage. Your guys did a very good job. They were great, prompt + efficient, Thank you ! Thank you so much for a job were done and for your professionalism. Great work! These man were wonderful, I loved them. They were quick and friendly and did an amazing job. Thank you! Thank you for the great service. Fast and professional. My second time using you guys and will use again! Fantastic service, very professional, had all the quipment to ensure my items were protected. Would highly recommend these movers ! Awesome . The guys were quick efficient friendly and completed the job better than expected. I will be recommending to anyone moving from now on ! Thank you guys. Did a great job today with the moving. Punctual and fast in moving the things. Very efficient team. Keep up the good work. Extremely good service, on time, very fast, no problems / delay. Highly recommend! Great boys!!! They were polite and hard working guys, would recommend them for moving! Excellent job by the movers. They were on time and did amazing job for us. Fast, efficient, friendly. Good job THX. Excellent + efficient. They took care and wrapped all items to protect them. Thank you so much. Guys were very friendly, funny, helpful, got the job done right! -Truck is empty -No damages -Everything is good -Great guys ! Excellent service! Fast + efficient! 5 out of 5! Once again we are so happy to have use this company . They made our move a breeze . Great personalities , service , and people ! Thank you ! The guys did a great job . Quick easy and no damage . Will recommend and use again . Thanks for the move, it was a great help to us. Would use you again . Very professional. Even when I wanted to lift a box they said no sir its our job ! Very polite . Nothing but quality service . Highly recommend Igor and his crew ! Thanks so much ! Very nice people, very good work. Very careful of everything! Thank you =) ! Islam was very professional and efficient. Excellent service. The team was great. Thank you! We are satisfied with service that we got. I liked the team who worked for us to move us from Toronto to Oakville . Everything was really fast , professional and reliable . A great bonus for us was that all 3 movers were Russian speaking . I will definitely recommend these squad to our friends! Excellent service . Fast efficient + professional , will recommend to friends. Dear Carefree , Thank you so much ! Igor and his team were friendly , courteous , and took amazing care of my possessions .Not only did they work quickly, but all of my furniture was packed away perfectly . I would definitely chose Carefree and Igor and his team again . Service was incredible . on time and very respectful . Thank you so much ! Excellent work! No damages that I observed, polite and hard working crew. Thank you for helping us on our moving day. Even with cold winter weather! Cheers!!! Very careful movers , Thank you . Igor and the moving team were fast, friendly, and very careful. 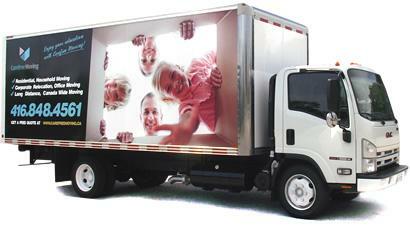 Whenever our friends or family need movers we will always recommend Carefree moving ! THANK YOU !!! Wonderful! Moving guys were fast and careful and we are really happy. Will use again . Highly recomend ! Great service , amazing help + friendly , thank you gys . Both movers were very nice and corteous, very professional - highly recommended! THANKS! This was fantastic experience . Workers were on time . Careful with walls, items , easy to work with. Very stress free, thank you. This is the first time using movers and I am very happy with the experience . It saved us a lot of time and headache. Thank you ! You guys worked hard and were extremly nice people . We thank you guys . Guys were great ! Thank you . Great job . Were very prompt and pleasent . Very careful with all furniture . Very pleased with job would recommend them . Islam and Amir were great . They moved all items with care and left no mess. Thanks ! They two gentlemen were more than patient and very neat.... no damages , and super helpful . Will definitely recommend Carefree Moving . Many thanks to Tim and Alex for their help. Igor and Amir came on time , very professional, very nice + worked very very hard . Got the job done . Great guys! Thank you thank you thank you. They were awesome , they knew what they doing , very helpful with everything . I would recommend Carefree Moving to all friends and family . The movers were amazing and very fast and friendly . I would use this company again ! They were extremely efficient + kind ! Super easy to work with + very careful ! Definitely will be using these gentleman in the future ! Thank you guys , excellent work!! The guys did a great job . Quick , clean , took care . Thanks ! No damage to household items , truck is empty, good customer service + friendly. Excellent service. Speedy + professional assistance! Thank you for all your hard work . Very professional movers . A joy to work with , would recommend them to anyone . Made the experience a pleasure . I am so thankful for a great job ! They moved my household contents with a great care . Hard working staff ! Great job , would highly recommend . They did a great job ! Thank you for taking care of everything so quickly + carefully. Timely delivery Good attitude from movers All items were delivered in good conditions Stored as per customers preference . We are very satisfied with the service! The gentlemen were very professional and hard working . They took care of our belongings and were very helpful. They were patient with the elevator issue and continued to work in other areas so not to waste time . Thank you for everything and we would recommend your services. Sincerely Lisa + Rene. Very good and efficient service. Thank you! Very professional crew . Were efficient + friendly . Thank you guys! Thank you so much to Mike + Zaza , they made my move so enjoyable+easy . They moved my stuff with such quickness+patience , you feel as if they are moving their own stuff. I strongly recommend these two movers . Thnk you so much . Exceptional service . Completed the move in record time! Did a very good job , very professional boys! Everyone was very helpful and was very careful with our belongings ! I would highly recommend them to others . The moving guys we had today were fantastic . Arrived on time , were professional , I would recommend to anyone . Great job guys ! Vlad + Igor were professional , quick and friendly . It was a pleasure working with them ! Fabulous + friendly , very nice guys ! + Were very nice to my dog ! Many thanks to you guys ! Movers were efficient , and careful . They offered helpful advice on setup in the new place and were understanding of any special requests . Excellent work , friendly helpful. Would recommend . 5 out of 5 These guys did an amazing job moving our furnitures and boxes . They took good care of every box and they are hard workers. They didnt waste time or idle . We really feel grateful that they helped us move . Keep up the great work ! Very recommendable ! Thank you very much ! Great service and staff . Very polite and helpful . Listened carefully to all concerns . I am very happy . Movers went above and beyond ! They provided a quick and painless moving experience ! I highly recommend them for other costumers to use ! Thank you . Had working crew , reliable + efficient , thank you guys for everything what you did ! Give them a raise , 100% recommend , Thank you ! Amazing ! ! ! Absolutely the best experience , very professional hard workers , fast and careful. I would highly recommend them ! Great movers ! Would recommend to anyone ! The guys did a great job , Mike was on top of the move . Truly great work . Would definitely recommend this guys took care off all of my staff great job guys , 5 stars ! Professionalism was all araund . We are very pleasd with the service we recieved . Awesome customer service . Very friendly . Thank you guys ! Miguel and Vladimir were extremely helpful , fast and hard working . A very big pleasure to have them move us and we would definitely recommend them to our friends and family . Thanks again! I had a great exerience moving with Best movers , I look forward to using them again . Thank you for everything . Great service , friendly people , deffinitely reccomend ! Friendly staff , efficient . Arrive and delivered in a timely manner. Very professional on time . Work well done . Thank you . Very professional + efficient great service ! Very pleasant workers . They did a very good job for us . We appreciated it . Thank you ! I am happy with the job that the guys dod for us , we would used them again if and when we are moving again . The team was efficient and careful with all my furniture . These guys were wonderful , great personalities. Quick amazing service , very nice people . I was very plessured + happy with the service . I would recommend these guys to others , Thanks ! Very good work ! Will use your service again , Thank you ! Excellent service - performance above + beyond . Many thanks . A very good experience with movers today moving my sons stuff from Scarborough to Niagara Falls . Thank you . Mikes team was excellent , very fast + careful with belongings . Followed any special instructions well . Would use again ! Both my wife and I were very pleased with the service . Both workers were very professional and worked very hard all day . We would not hesitate to recommend to anyone else looking for a mover, Many thanks. Excellent moving Company . Staff very knowledgable and helpful . We would use them again . Thanks for your help! Miguel and Alex did an excellent job in moving our household items , They were efficient , hard working , punctual and professional . Great job with moving all equipment very friendly . Very good service. Very fast helpful everything went smoothly. Would recommend your company to friends and family. Very happy with the service + movers were very friendly and careful with my items ! Excellent movers, very professional, friendly and caring of house move. We will definitely use again. Thank you very much. Great staff, fantastic team work. Very responsable people. Thank you ! Amazing job. I love them. You guys punctual , helpful , polite. You guys did unbelievable job ! I will recommend you guys to everyone who would like to move. Thanks again. The guys were very good + hard working. They did not take a lot of breake + were friendly. Did a good job . Thanks guys ! Great job , punctual , courteous , the guys who knows what they doing. Highly recommend ! Great service , fast , quick moving services , no damage to any boxes or furniture , highly recommended. Gentlemen were very courteous and made sure my belongings were well wrapped. Thanks for your hard work. Fantastic , showed up on time, effecient , pleasent + very much polite , understanding of moving. Highly recommended . Thank you. Great service! Efficient & fast. Very helpful..... Will use again ! Thanks ! The guys did an amazing job. Very professional and very carring abaut my stuff. I had a lot of stuff and they work with no stop with the same stamina care and smile. Thank you and I will recommend you to all my friends. Excellent service. On time+reliable, will recommend any time. The gentlemen were great ! Perfect ! ! ! Very pleasant , polite movers. They provided excellent service while moving . Thank you ! Thank you for working so hard on such a hot day. Great job ! Perfect job. On time , fast , reliable . 5 stars . No damage . Everything good. All good workers. Very good job , good custome service , very nice guys. Great guys ! Moved everything in one piece ! Fast + efficient ! Would recommend to anyone ! Eltan and Eduard were fantastic at moving everything in an efficient and timely manner. They are exceptional movers and I appreciated all their hard work ! Very polite + amazing service ! Great , efficient , fast , and friendly . The guys were fantastic . Super hard working and carefull with our furniture . Thanks for making such a fantastic move for us ! Very pleasant , and happy that I booked this company ! Amazing job ! Thank you so much guys ! The movers were very professional + courteous . Have done an amazing job , no words ! Definitely Would do Business with Сarefree Moving. Excellent service , great crew ! Thank you - Courteous and efficient ! Job well done ! Thank you ! You guys did an awesome job . You were super helpful , and we definitely will use you guys again ! Thank you so much you guys are the best ! This was a wonderful experience. Fast , professional and care free . Thank you ! ! ! I will recommend you guys to all my friends . The delivery team was on-time , very professional and did a good job. Great job ! Hard working guys , very professional , very fast.When we needed a second truck they arranged it on the spot . We would recommend them again + use them again . Thanks ! We had the best experience with our movers ! They took great care with our belongings.We would definitely use them again. Excellent job performed by Russel and his team! Workers were very friendly and extremely hard working and polite ! Nothing broken or damaged. Its my 2nd move and I'll be back! Quick , helpful , very careful and , great to work with-thank you ! The guys did a great job , even that it was supper hot.All our belongings were taken care of. Will definitely recommend and use next time! Good service.On time.Friendly staff.Hard workers! Best Moving Expierience.Very professional courteous,fast,efficient. Great job guys ! Thank you ! Good move.Very careful with my stuff.Happy with results! Very pleasant experience ! Thank you so much ! Alex and Miguel were excellent , took great care worked non-stop. Thanks for this great job ! This is the best moving company I've ever used.Worked non stop , nothing broken , fantastic bunch of guys Thanks !!! The guys were excellent.Very respectful and caring of the walls and furniture.They were courteous and hard working! Thank you so much! The guys were extremly careful with everything + they work very friendly. Great service . Very plesant to work with . Thank you ! Very professional and hard working staff , fast + courteous . Great team work and no damage or delay ! Would highly recommend ! I appreciate the excellent service will definetly call you guys again for my next move. Cheers ! Excellent , friendly service ! Very careful with my belongings. The guys were awesome! 3 Floors , lots of tight corners but they powered through and took lots of care to my items + house . Would 100% use them again & you should too! Great movers ! Very efficient + polite . No damages . Took care of my stuff . Very happy with their work ! Great job , super fast + efficient . Thnak you ! Excellent friendly service . Would definetly recommend ! The move went quickly. Movers were very polite and respectful, They took extra time to assemble everything safely. Thank you ! Great bunch of guys . Polite and professional ! I would recommend them to every body who wants to move ! Very good service . Very professional guys and will use them again. Service was careful with my belongings , polite , on-time. Excellent in every way ! Thank you ! Thank you , Ruslan and Zaza for the carefree moving! We are extremely happy with your service ! The movers worked well. We were very happy with the service. They were polite+friendly. Fabulous company + experience ! Have called twice on short notice and had movers come the same day.Movers are professional and respectful of home+belongings and are knowledgeable in their trade. Highly recommend. The movers were very nice.They moved all the furniture without any damages . They even arrived earlier then the assigned time . The move was overall very smooth and I am very happy with it . Mike Igor and Zaza have made a wonderful job. Me and my wife are so glade and appreciate their nice Work. Thank you guys! Carefree Moving handlad our move in a friendly + professional manner . I would highly recommend their service to anyone looking to move their personal belongings. Boys did a great job very flexible acomodating . Thank you! Great Move ! Very fast , polite , gentle moving furniture . Thank you! Amazing service ( 2 times in 2,5 month) professional , fast , courteous. Thank you! The movers were excellent,fast,and careful.we would use them again. The total job performed perfectly.The team are very very good and helpfull.Carefree means really care free! Very helpful and professional.Thanks for everything,will definitely use again! Great experience-fast,friendly movers.Very evident that they have alot of experience.Will hire them again for our next move! Great guys.They were soo fast and took great care of our furniture. Would definitely recommend others and use again. Our movers Russel and Dawe were Amazing.They took care of every piece of furniture ,handled with extreme care. Fantastic job - amazing and fast.Very courteous.No damage. This was a difficult move that was very professionally handled. Mike + Igor did an amazing job moving me today. They were extremly efficient + accommodating. They asked where I wanted all my furniture , placed on their places + did not finish until I was satisfied with everything. They are outstanding + I appriciate all of the professionalism + empathy. Thank you ! I would definately recommend this company to everyone! Excellent move ! We would definitely recommend their services again! The delivery guys were very professional , on time . They did a great job! Very good and careful movers . I am very glad , that I hire you. Outstanding , Very professional , Thank you soo much guys ! Great service , very friendly , very quick , would recommend to others. Very good , efficient , on time , excellent guys ! The crew at Carefree Moving was great. Care was taken with our possession and the service was very polite. Thank you. The guys did a great job , worked hard and fast and everything went well, Thanks ! Great job. Fast and efficient , nothing broken or damaged. Excellent work guys ! Thank you !!! The two gentlemen were very professional, polite and helpful.They did a good job. All 3 movers worked quite diligently a fast paced. They took very good care of our belongings, were on time, no concerns. Thank you very much! Great job! The guys were awesome. Highly recommended. Very punctual and organized. Took very good care to move. Guys were amazing - great service. Hard workers ! Really appreciate the job done today. Very proffessional , friendly service , and very quick ! Thank you very much!!! Great job. Prompt , courteous , helpful. Could not ask for more! Great service , nothing is broken , arrived on time , everything went smoothly. Thanks a lot. Great job and took care of all items. Would use again! This is the 2nd time I used this moving company and both times have been amazing! Thank you for all your hard work and professionalism. Excellent service! Would recommend you to anyone I know. Thanks a million. Very professional. Extremle hard workers. Made the extra effort to get it all past on time. Thanks! Service was great! Prompt on time & very polite. Will definitely call again when we will need to move. Thank you. The guys were friendly, quick, and did a great job. I would recommend CarefreeMoving anytime! Thanks. Very professional, x4 guys were great and never stopped! Very fast and careful. We would use this company every time we move. Excellent service. Arrived exactly at 9am. Very hardworking & professional. Will definitely recommend. The 2 movers were very helpful, quick & friendly. They did a great job. I will recommend Carefreemoving to others. Great Job. Great fast careful service. Showed up on time(very rare with moving companies) Will use you to move again. Movers did a fantastic job. They were fast, efficient and very professional. Service was excellent and the work was completed in a very efficient manner. Could not be happier with the service provided. I was very satisfied with your services! Thank you! This is my third time using CareFreeMoving and I am once again very pleased with your services . The movers in charge of my move ( Slava & Andre ) were punctual, effective & very professional. I will definitely be recommending your services to my family & friends. Thank you! Hats off to an amazing job! This guys worked 16 ½ hours and only had a quick lunch & dinner break. They were very friendly and very patient, we are extremely satisfied with the service and very happy to have them as our movers. Thank you so much guys! Great service, timely, efficient and respectful. I would use your guys again . Thanks for going the extra mile to help me! Good luck! Right on time service, careful and helpful. Will use them again! Very prompt, on time. Friendly and caring movers. Very pleased with the service and the move it was indeed carefree! Huge thank you! This has been the best moving experience. The movers were well organized, respectful – fast, efficient & careful. I would use and recommend your services to my property management company. Thank you. It was great experience. The guys were 10 minutes early and worked nonstop. They took extreme care with our valuables. We would highly recommend them. As I read the review on “Angies List” I will now add to them. Thanks so much for making our move stress free. To whom it may concern. We used your moving company for the first time. My sister and her husband used your service recently and recommended you to me. We were happy with the service that Slava and his partner gave us. They were pleasant to deal with and very professional. Thank you. Movers were great! They arrived on time, were quick, efficient and items arrived safely. Great job! I will recommend them to my friends! We had a great experience with your team! You were on time, efficient and friendly. We would recommend you to friends & family. Thank you! Very professional move! You were recommended to me by a friend and I have been very impressed. The team was very punctual, organized and efficient. They were very polite and friendly as well. The team made my move very easy and stress free. I will certainly recommend you to friends & family! Thank you for your help! I am completely satisfied customer. The representatives from carefree moving were professional, kind, caring and efficient. I would not hesitate using your services in the future and will recommend you to friends & family! CarefreeMoving company was very good, on time and careful. The men were kind and efficient. I have recommended them to my friends. To Slava and Andrey many thanks!!! The guys are amazing. They did excellent service, very careful and committed. Great service, definitely care free. It was fast and careful service we will use Carefreemoving next time and refer to all our friends. Thank you for happy and easy moving. Thank you very much, your team was so efficient & professional & help to. Took longer due to complications with couches... too big, had to find another way in. They were WONDERFUL! Thank you very much! Slava and Andre were the best. #1 customer service, #1 quality of work, #1 job. This was the best moving experience I have ever had. A great job by two great guys. The 2 movers were great! They were very patient and very professional. They did not hesitate when I asked them to take apart a huge IKEA wardrobe + move it from one room to another. I would highly recommend them + certainly use them again for any future moves. Slav, Andre & Edward were prompt, courteous & made me entrusting them to move my grandmother's piano. Thank you! Dear Carefreemoving Thank you so much for making our move the easiest and simplest operation it could be! We underestimated how much stuff we actually have but your guys were such a pleasure to work with. They were on time, worked very efficiently and were very friendly. Thanks again! We will definitely be recommending your company to our friends & family and if we ever move again, will be back. The moving guys were amazing!! I would love to hire them again. Thank you! Amazing job! Very professional - will definitely use them again! We booked our move with Carefree Movers at the last minute - the same morning of our move because another moving company we booked 2 weeks earlier cancelled on us the day of our move. We were very upset. Carefree Moving was FANTASTIC! The movers were friendly, very hardworking and very nice. It was one if my best moving experiences on the end. We were delighted with them and would use them again. We will definitely be telling other people we know about them. Both movers were excellent. Arrived on time, polite, helpful. All items delivered with care Many thanks for a job well done. I will happily call on your servuces in the future. I was very happy with timely responses & delivery. Would definitely choose your firm for next moving. Slav and Andree did an excellent job! They were on-time for pick-up, very curtious, polite and hard-working. Next time we move we will definitely request them. Thanks again for all of the hard work. Very happy with the services rendered. This is our secind time using Carefree Movers and we will surely be recommending your company to our friends & family. Your movers are very professional & very efficient. Thank you! Amazing service, very professional and on-time. The two gentlemen who helped us with our moving provided excellent service and were extremely helpful and efficient. I just wanted to let you know I was very pleased with the moving guys. They were very helpful and pleasant. I would recommend your company anytime. Thanks Carefree Moving! The move went well, on schedule and completed in good time. We may move again in a year (we're currently renting), so we may be using your sevices again! I would definitely endorse your company. A big thank you for moving our goods. You did an excellent move.